Post from Kevin Dallas, General Manager, IoT, Microsoft. The Internet of Things (IoT) represents an undeniable opportunity across a range of industries, a topic many of my colleagues have covered at length over the past few months. We believe that there is a critical set of work our industry must undertake in order to make sure we deliver the right set of platforms and services to realize the IoT opportunity. Microsoft has joined the Industrial Internet Consortium (IIC) and its founding members AT&T, Cisco, GE, IBM and Intel in a collaboration that extends across industry, academia and government. The IIC’s goal is to reduce customers’ required time and complexity for building intelligent systems through open interoperability standards and common architectures to connect smart devices, machines, people, processes and data. Microsoft has joined the AllSeen Alliance, which was established in December 2013 to address a major challenge facing IoT, enabling smart, connected devices and objects to work together regardless of brand, operating system and other infrastructure considerations. AllSeen Alliance members are collaborating on a universal software framework, based on AllJoyn open source code, which allows devices to autonomously discover and interact with nearby products regardless of their underlying proprietary technology or communications protocols. 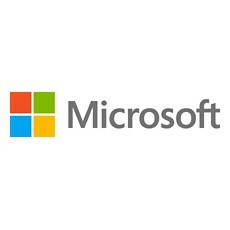 Microsoft joins Cisco, Haier, LG, Panasonic, Qualcomm Connected Experiences Inc., Sharp, Silicon Image, Technicolor and TP-Link, in addition to more than 40 other member companies. We believe the promise of IoT lies in making new and existing devices smarter by connecting them to services in the cloud. At Microsoft, we are focused both on a powerful device platform and great services through Microsoft Azure to deliver great technology to developers, partners and customers. In order for us to collectively realize the full potential of IoT, it’s imperative we have the right conversations as a community to enable these new and emerging devices and cloud services to be able to communicate and interact properly. It’s a big moment for the industry, and we face a critical choice – do we adopt a standards-based approach that enables scale and interoperability, or do we allow the industry to fracture into miniature ecosystems that encourage lock-in and forces customers to work harder to get the benefit out of the more than 212 billion “connected things” IDC predicted we’ll see by the end of 2020? In many ways, our opportunity is similar to the early days of the Web. Imagine if the http protocol was not a standard adopted by everyone? Would the Web have been as impactful in creating the global connectivity and business opportunities that have defined the past two decades? These are industry challenges. No single company will solve these problems, and the need to make sure we are on the right path together is stronger than ever as new devices and services are launched almost every day. Our recent Windows, Azure Intelligent Systems Service, and Azure Machine Learning announcements represent some of our most recent examples of the investments we’re making in a comprehensive and robust M2M/SCADA platform to power the Internet of Your Things. We look forward to engaging with IIC and AllSeen Alliance members to develop technologies that will improve peoples’ lives while fostering the interoperability, security and the dependability of the systems on which the world is built.